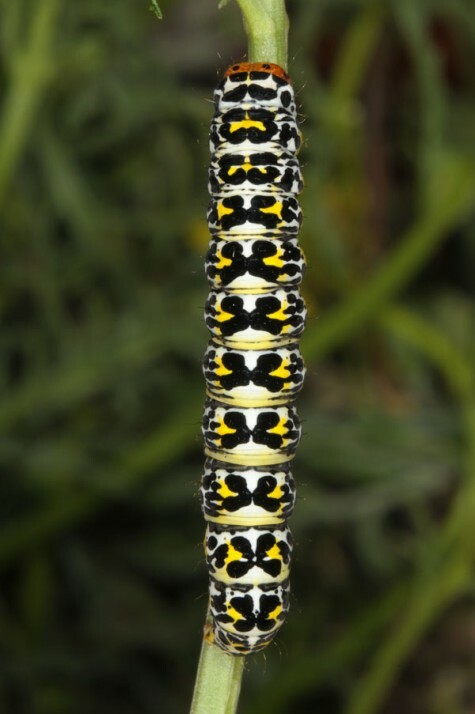 I recorded the larva on Scrophularia peyronii in Cyprus. 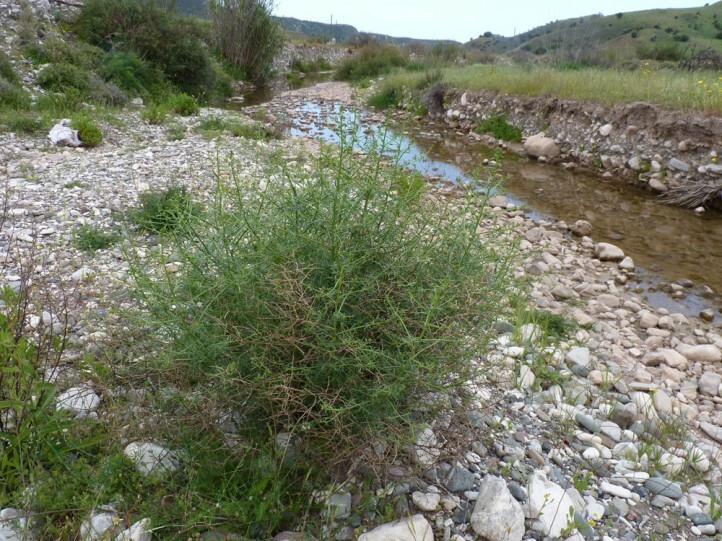 Cucullia barthae inhabits gravelly areas along rivers and steep slopes with the host plants. 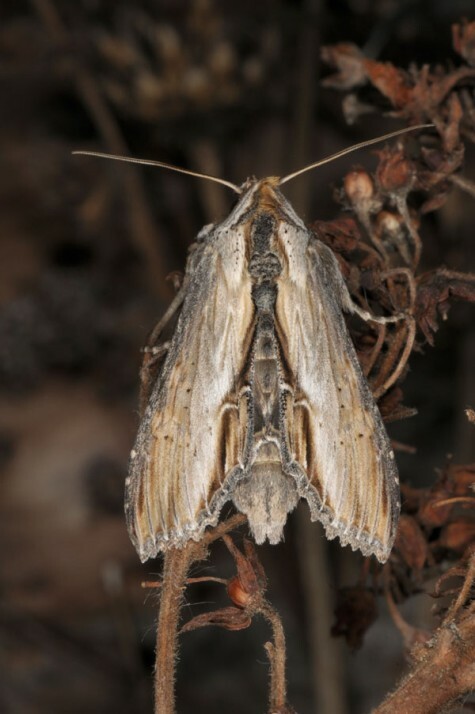 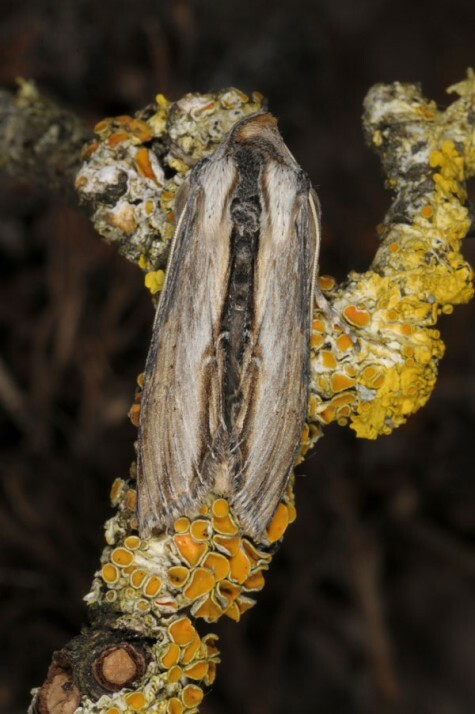 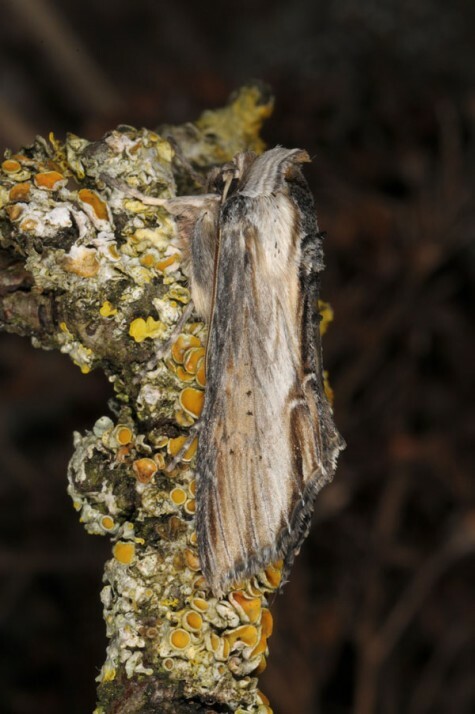 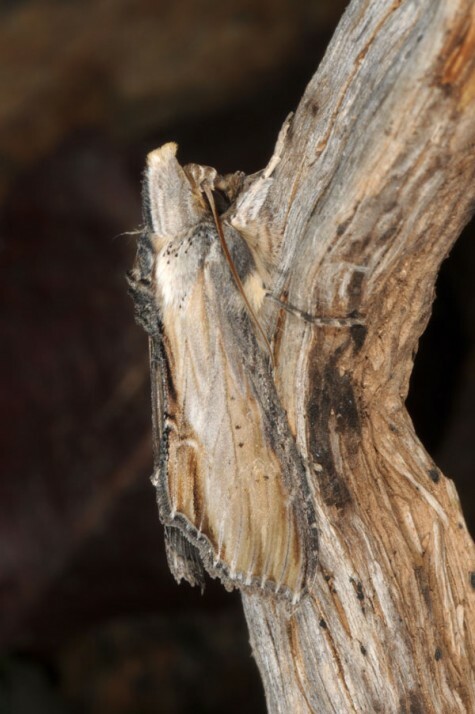 The moths are on the wing between late February (e.g. 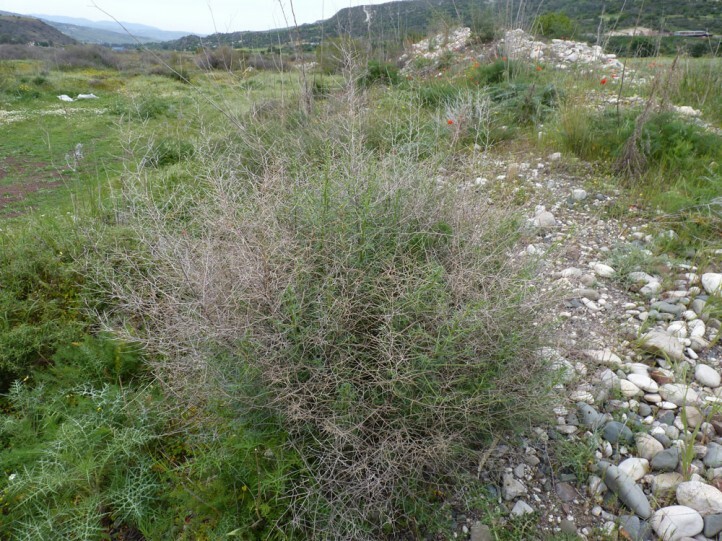 Cyprus February to April) to May. 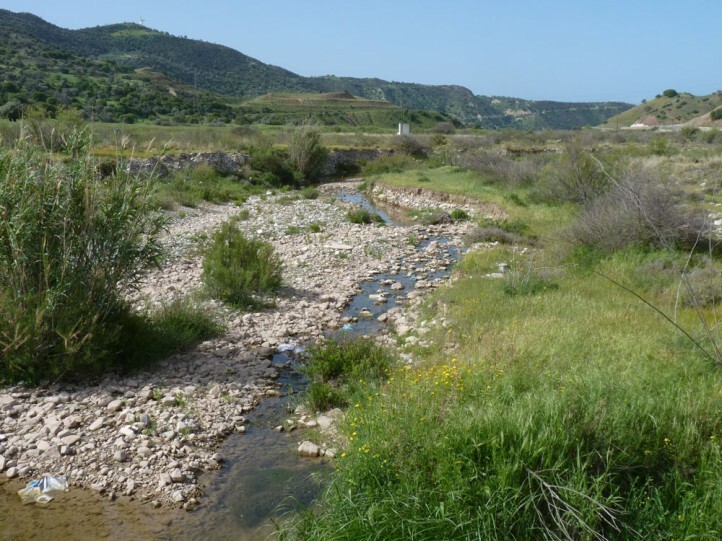 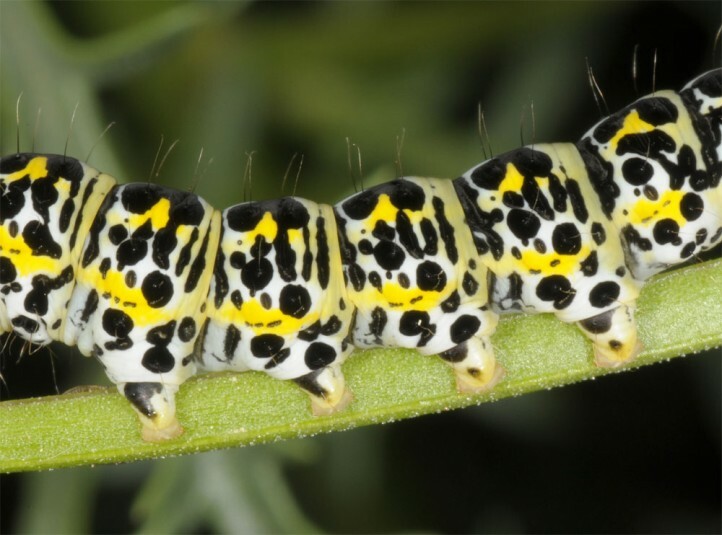 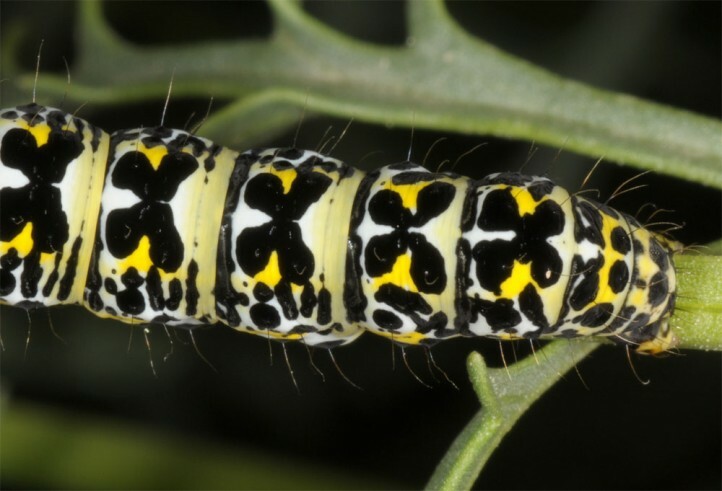 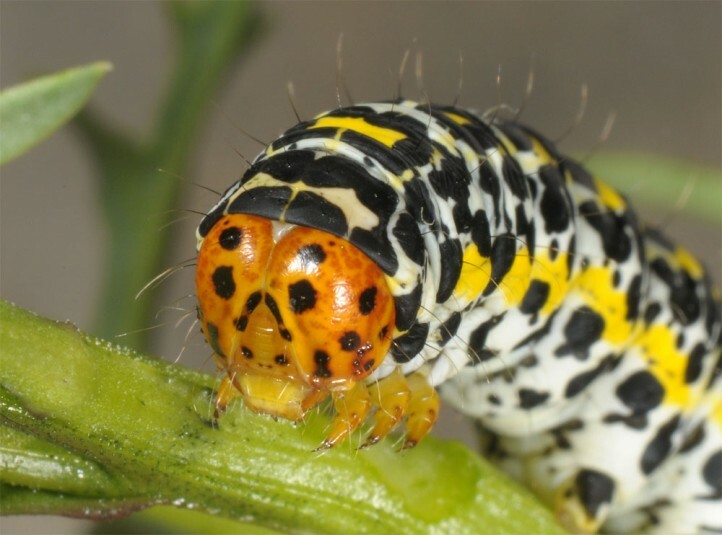 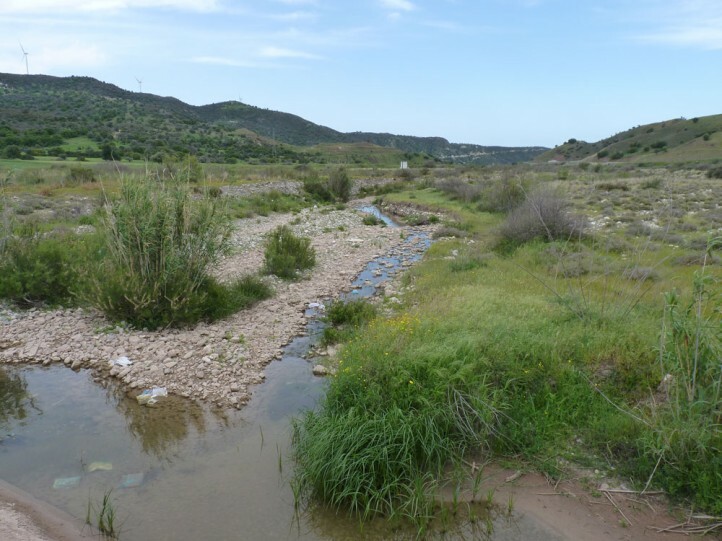 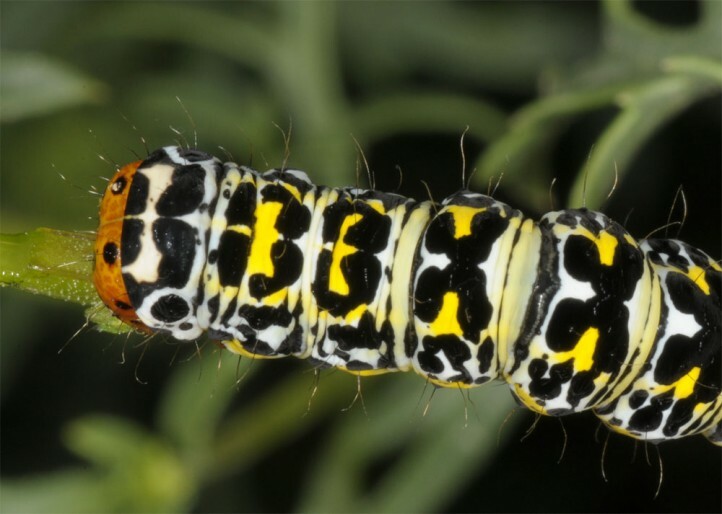 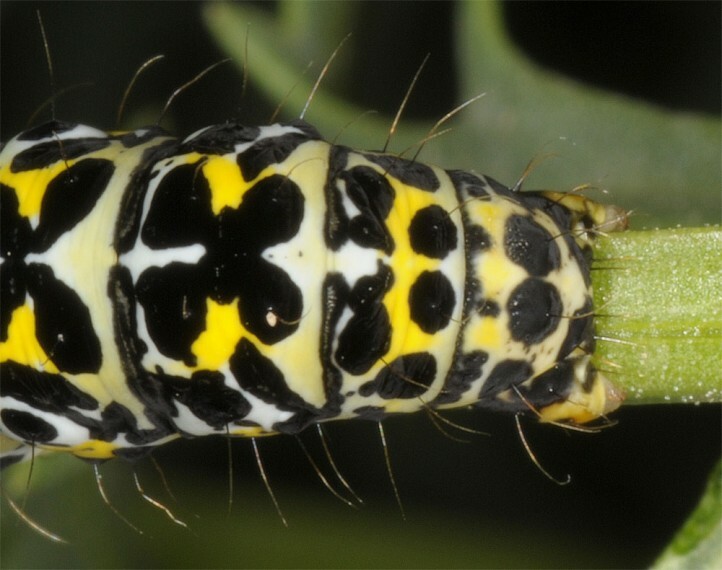 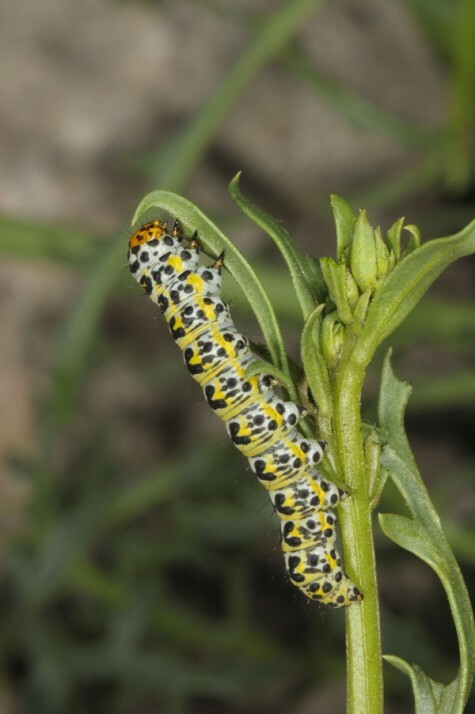 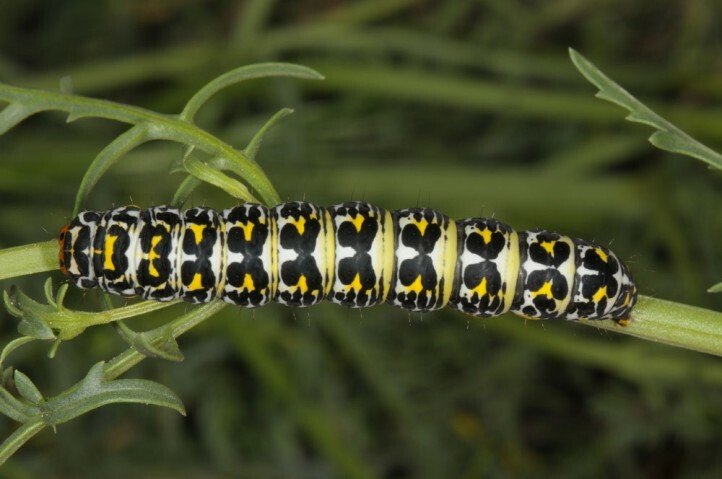 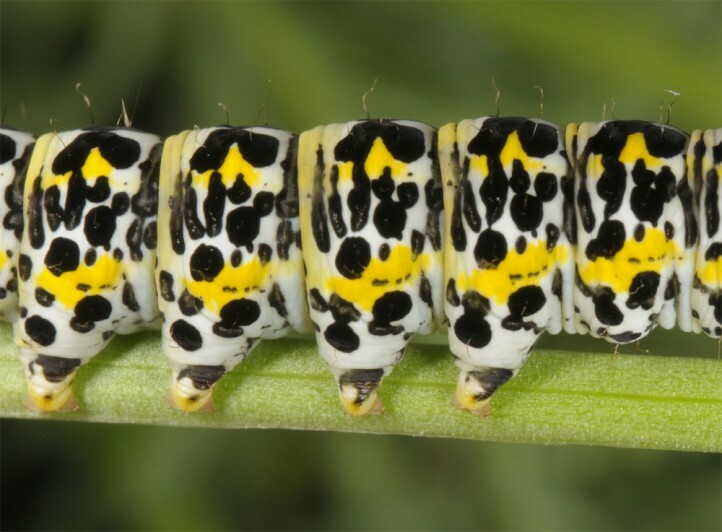 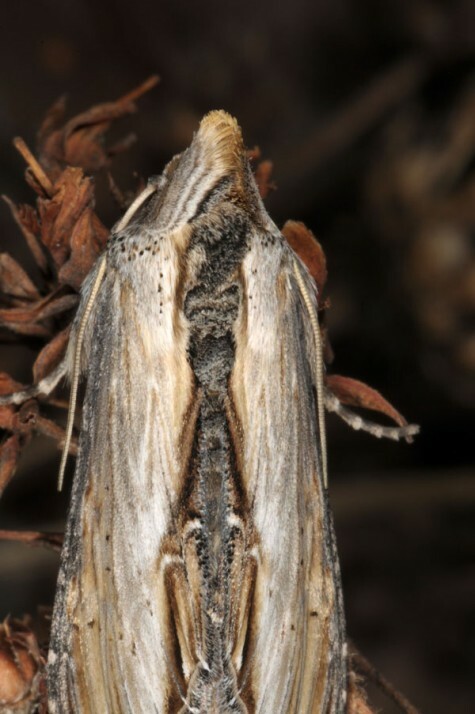 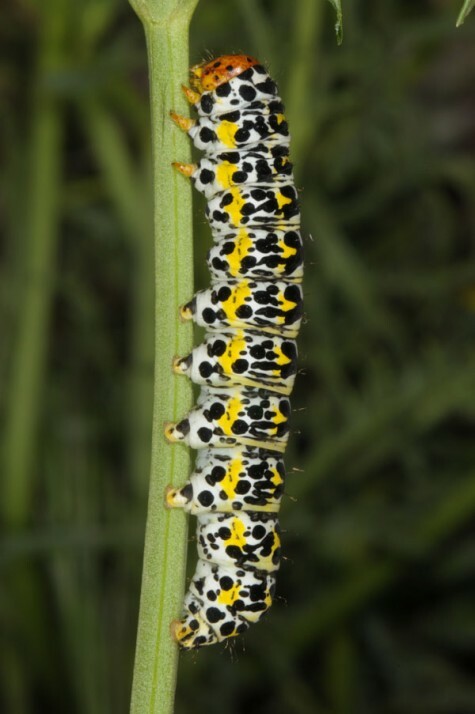 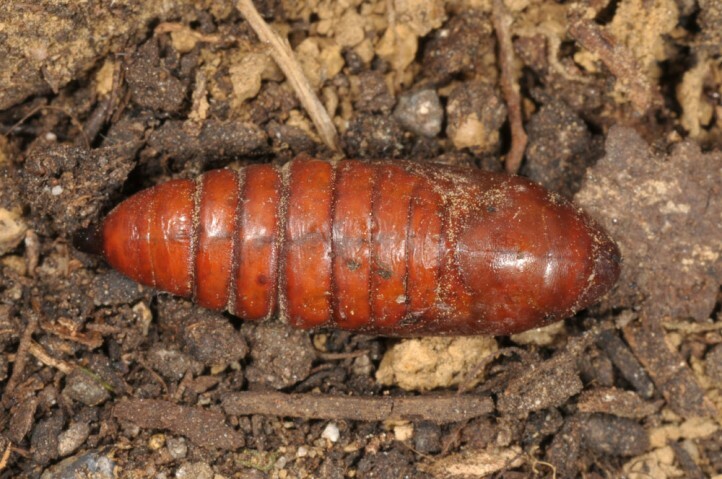 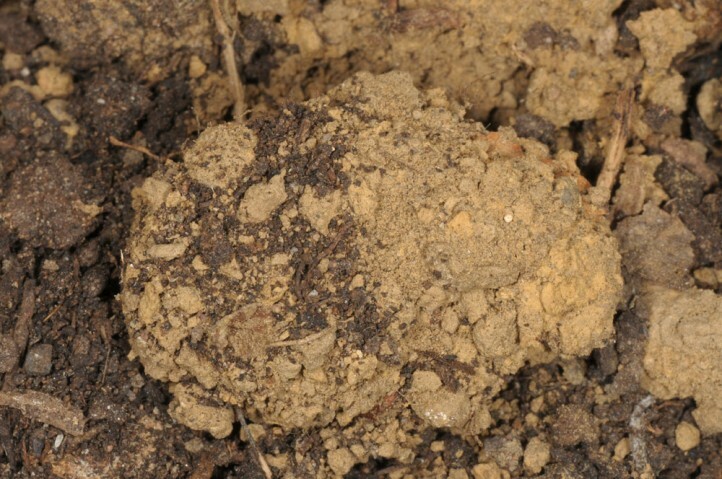 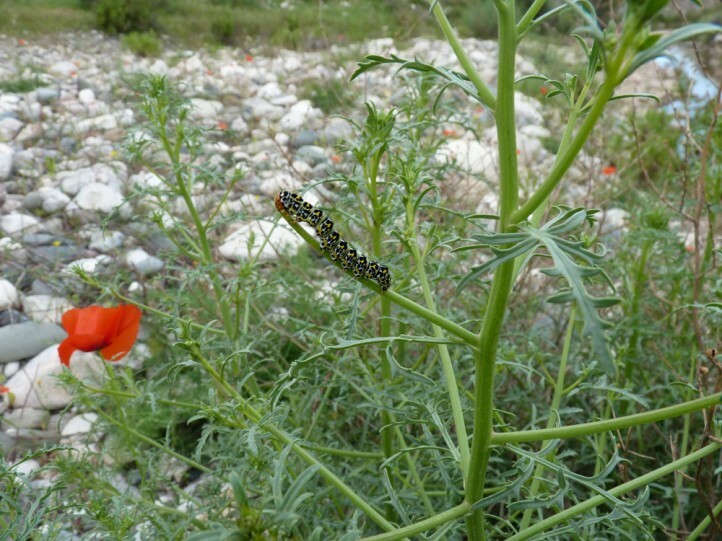 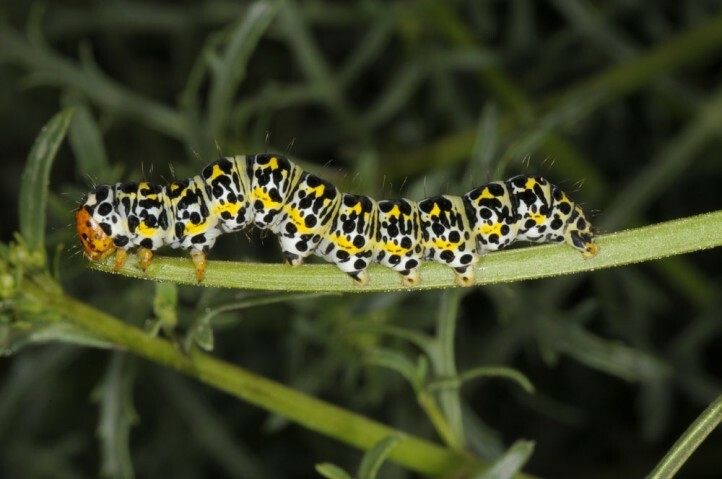 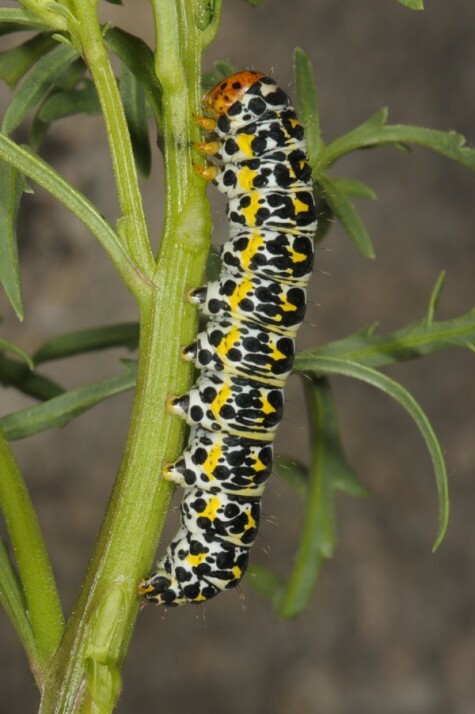 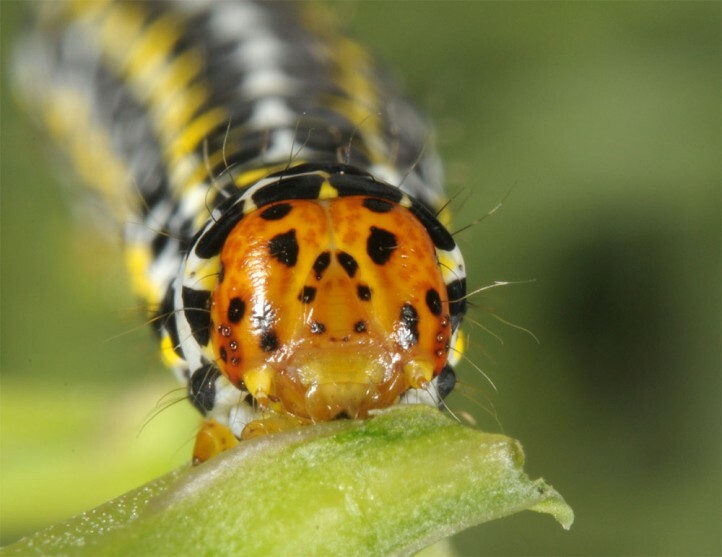 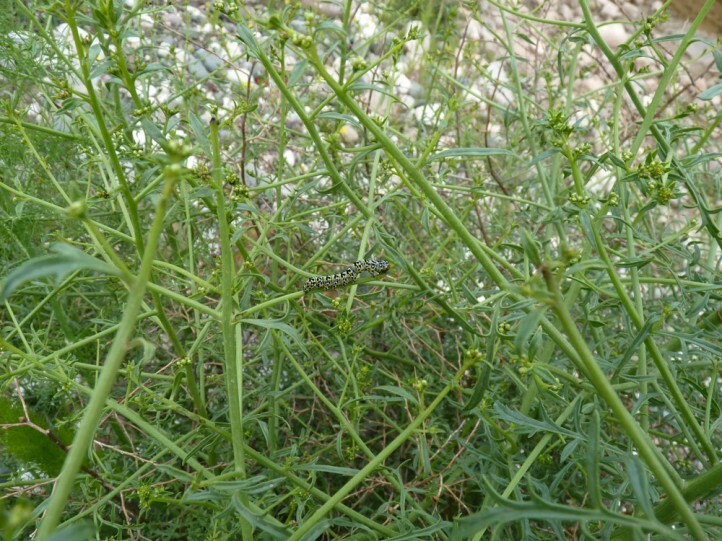 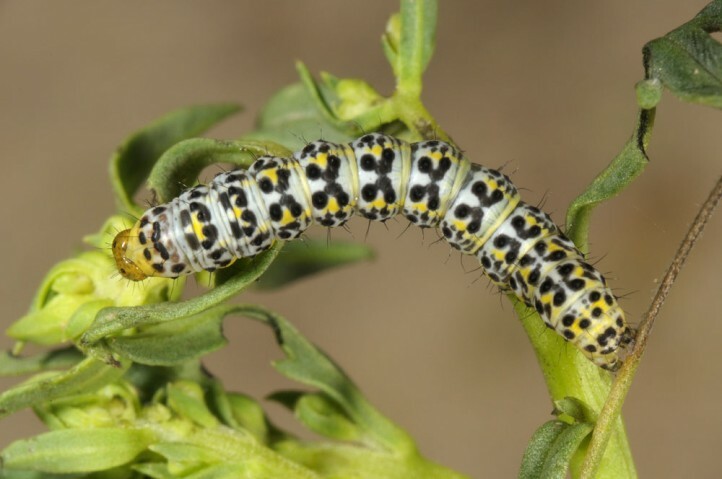 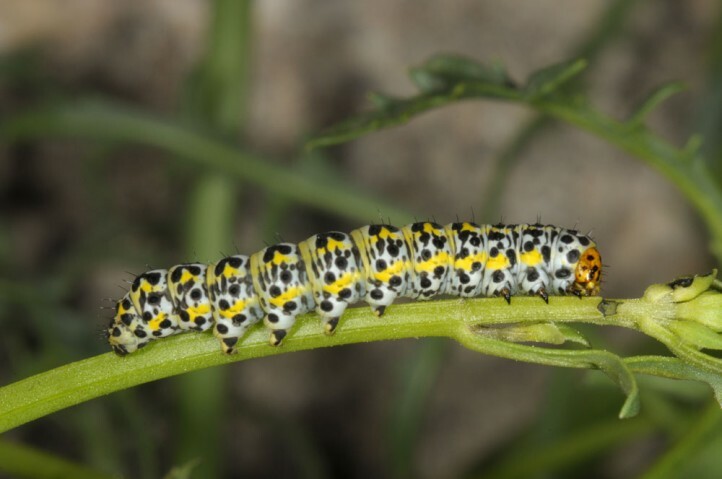 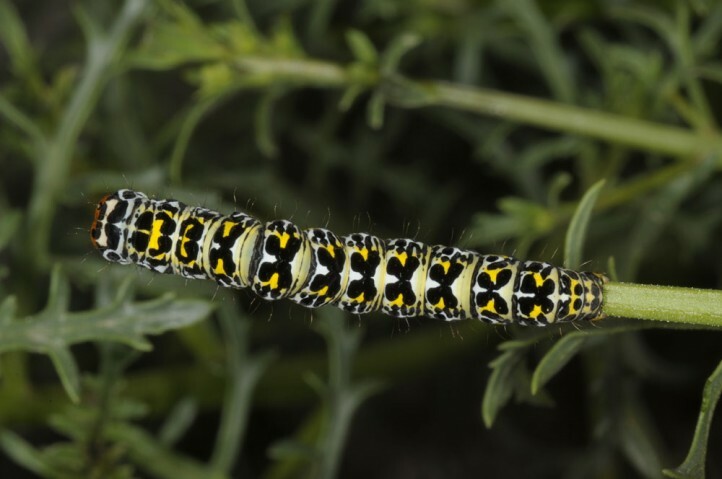 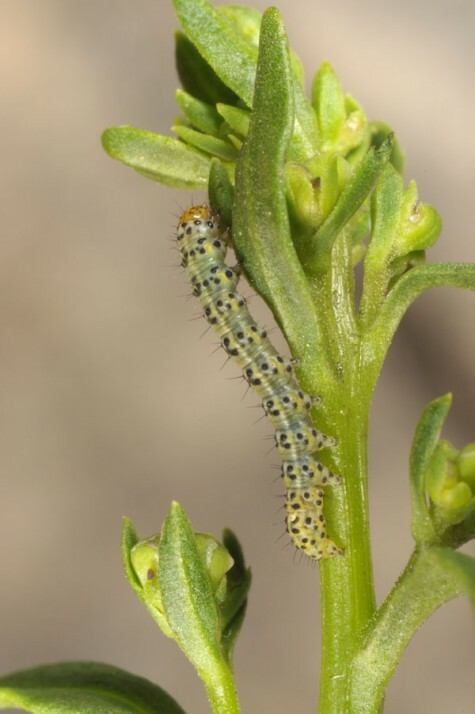 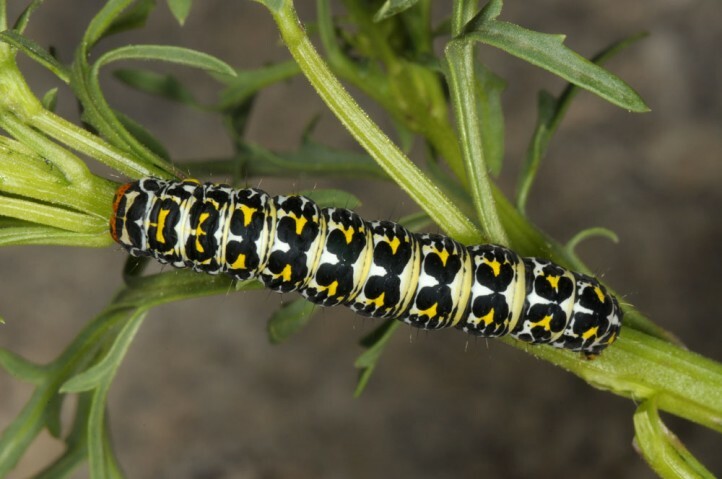 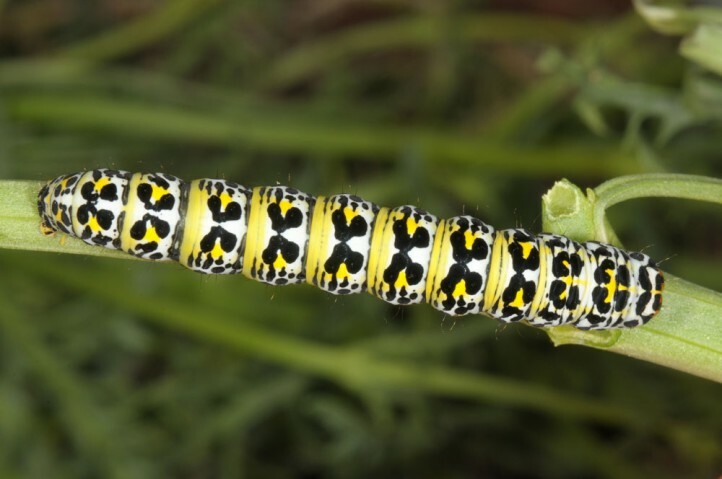 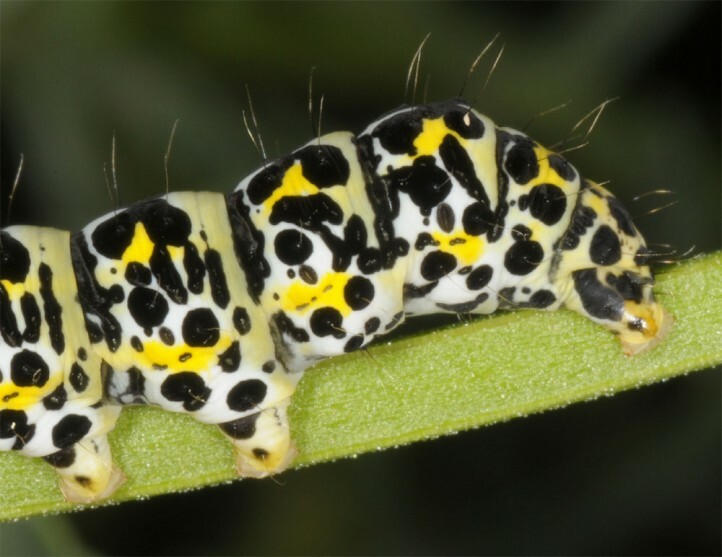 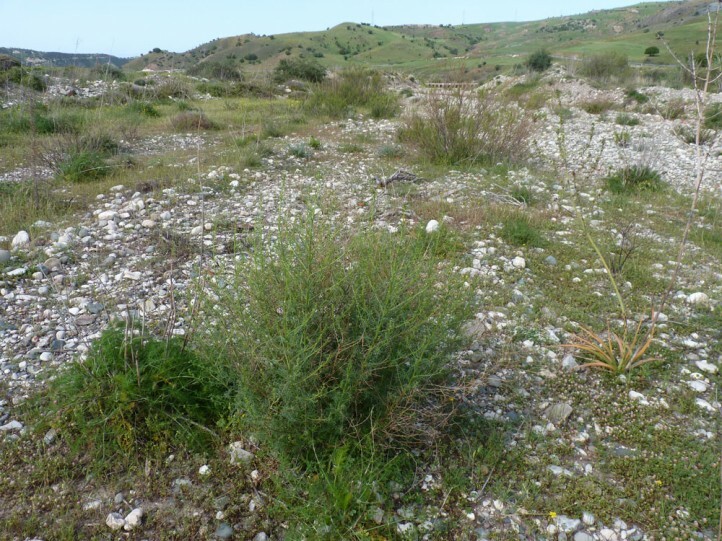 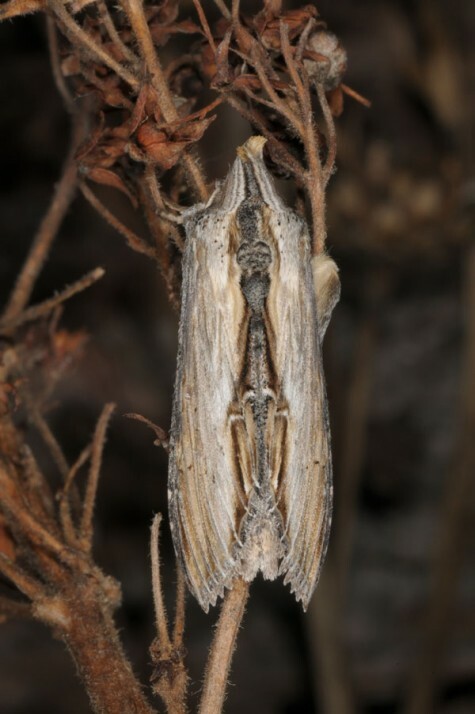 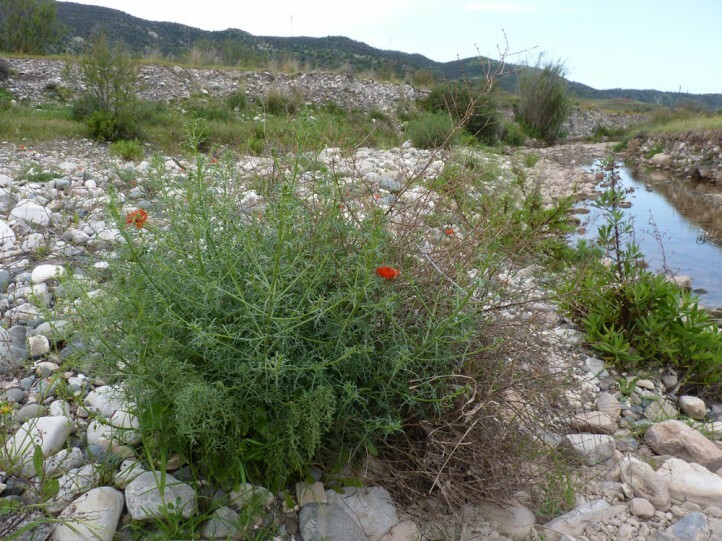 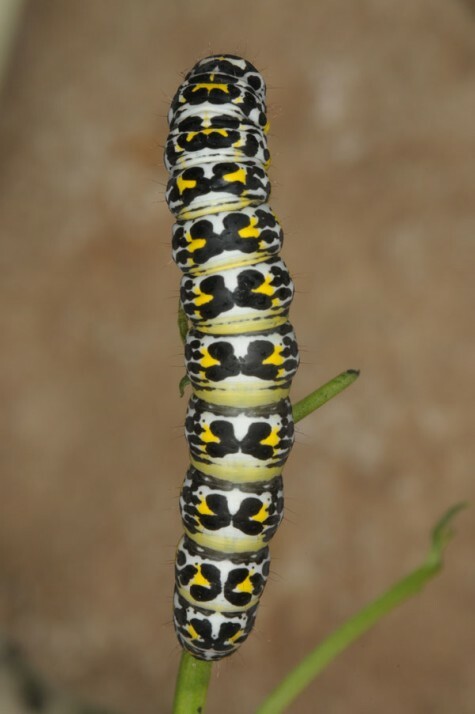 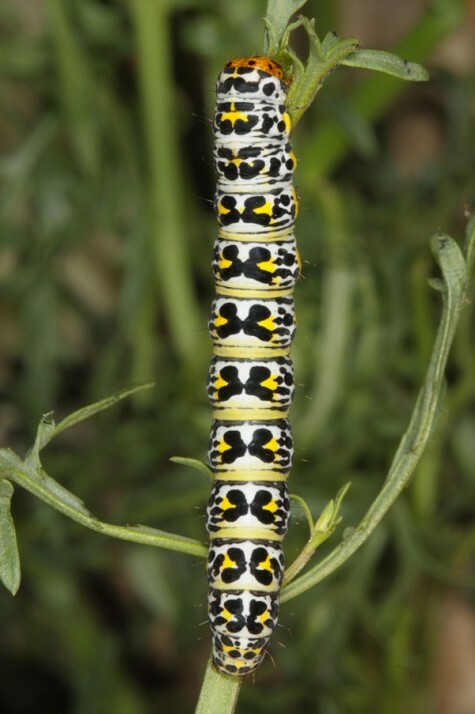 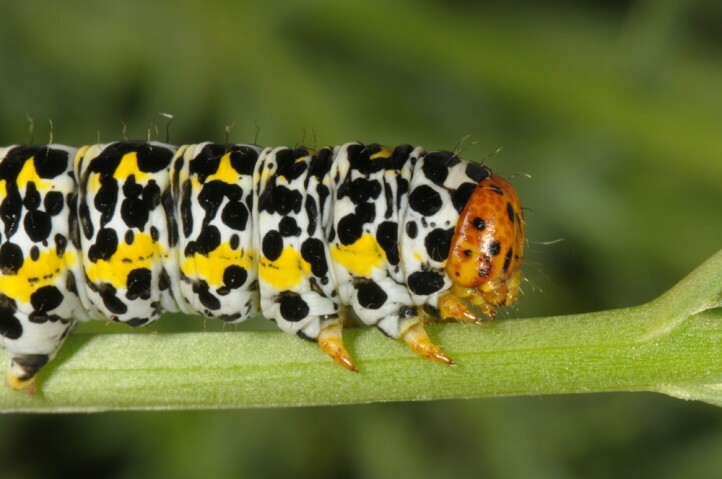 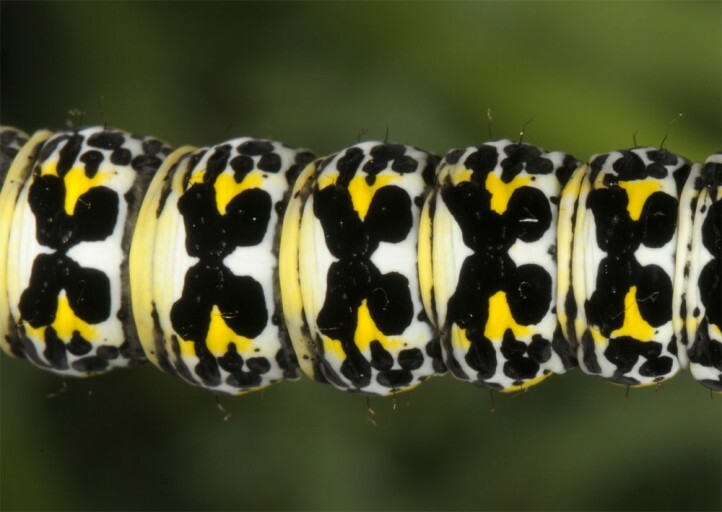 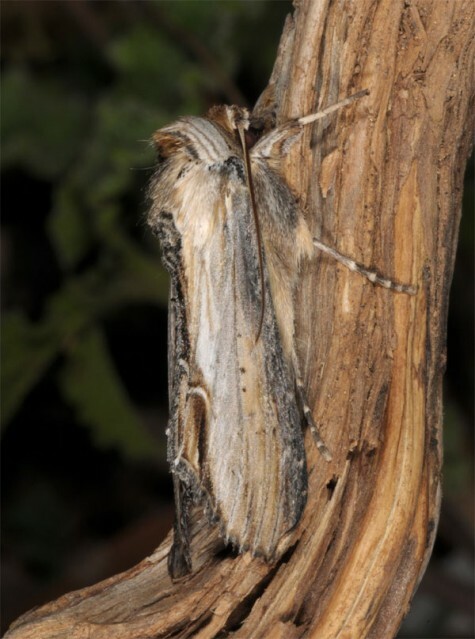 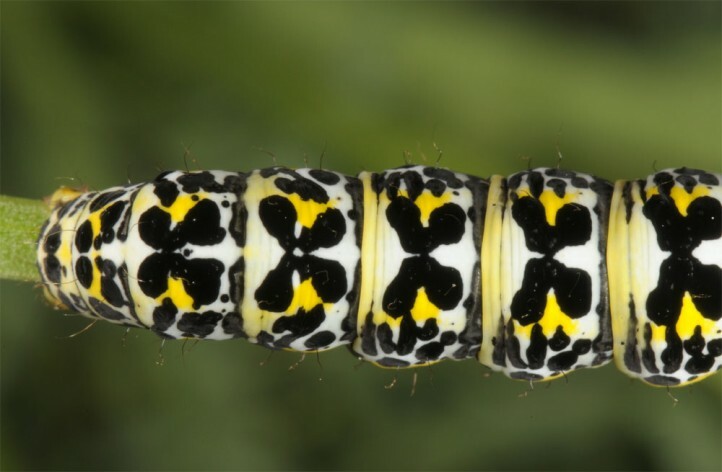 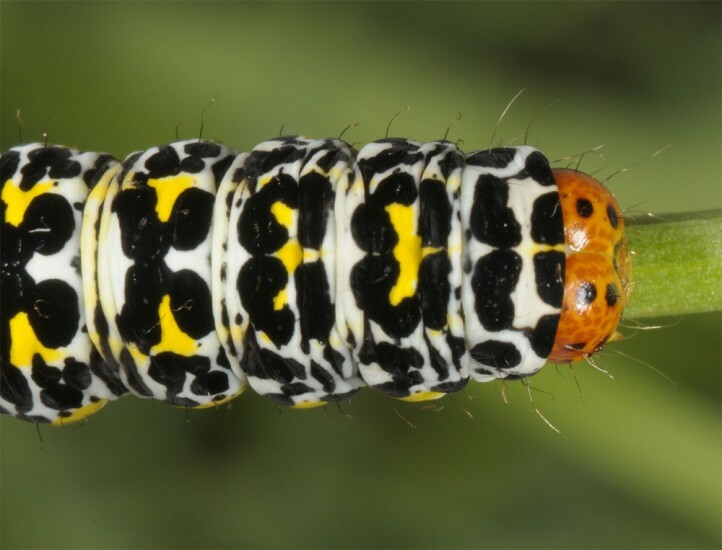 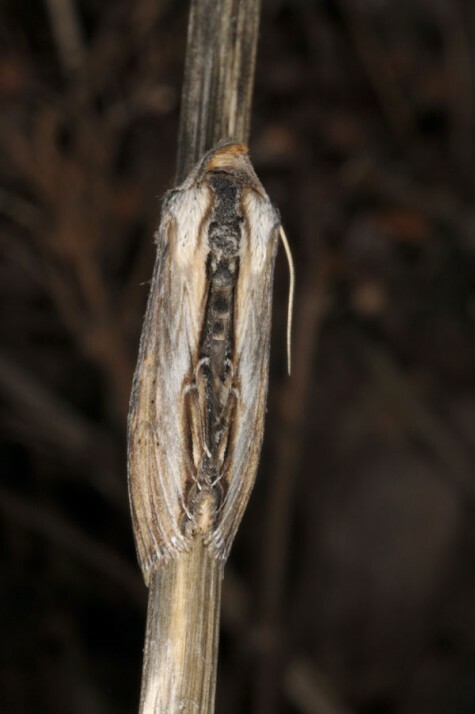 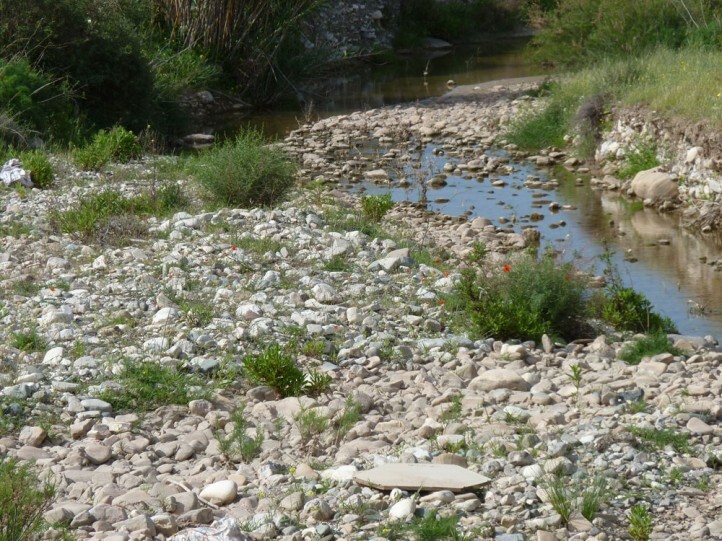 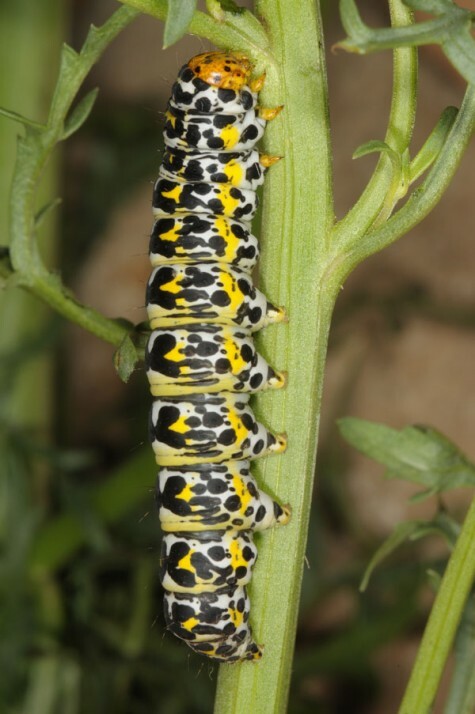 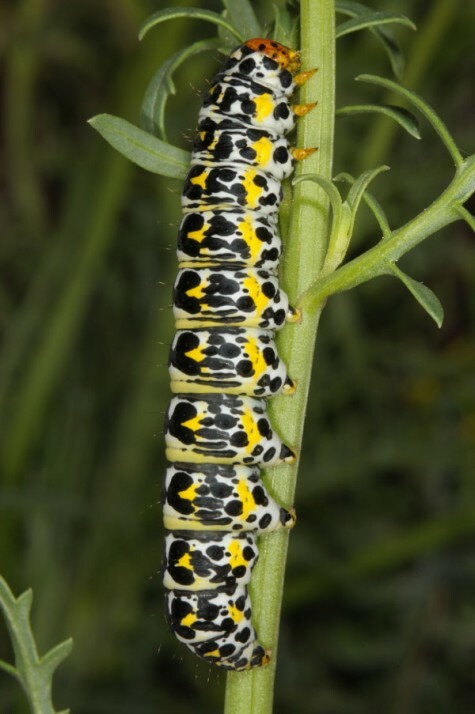 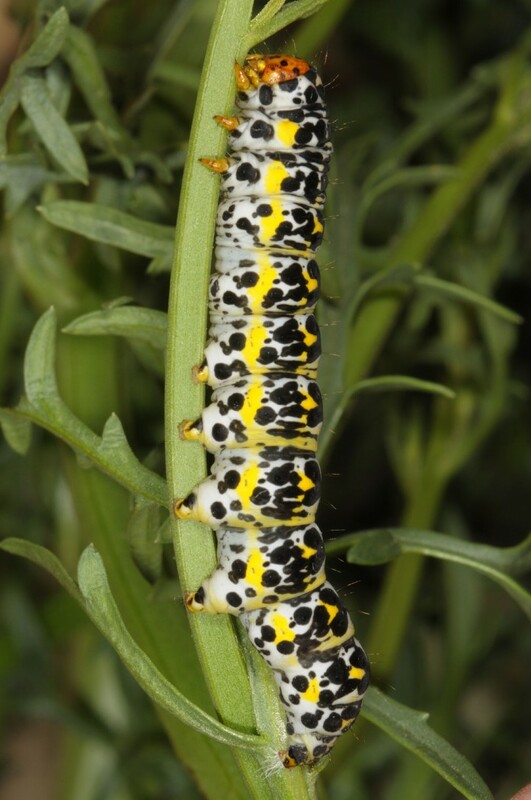 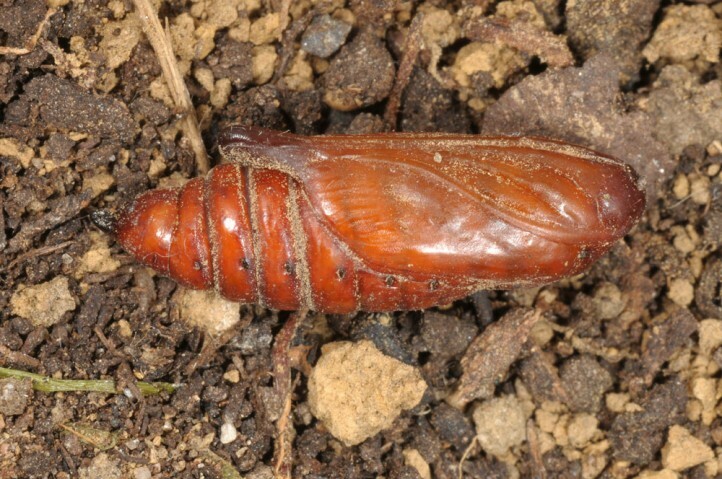 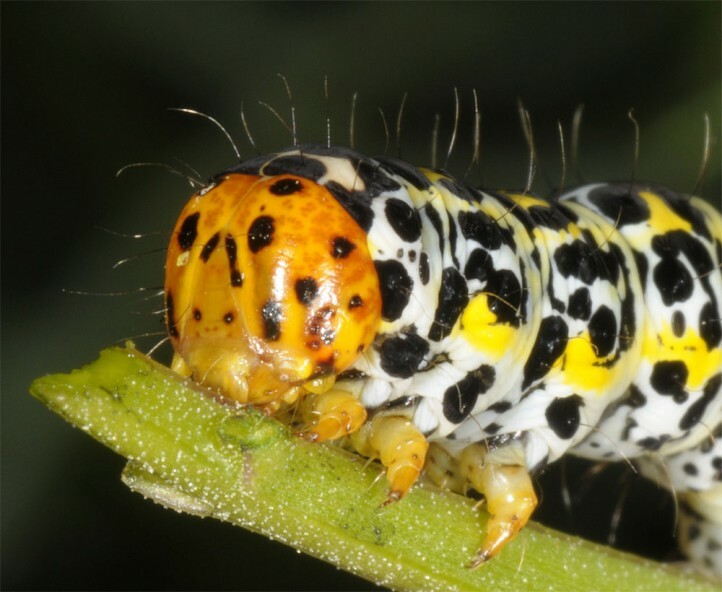 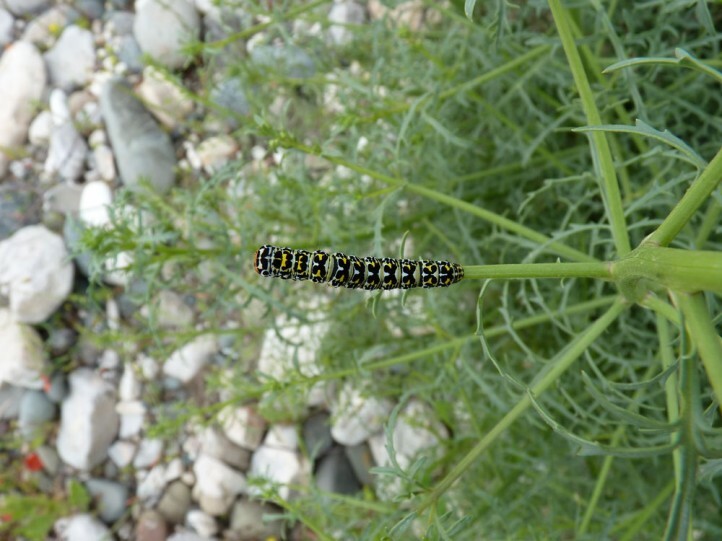 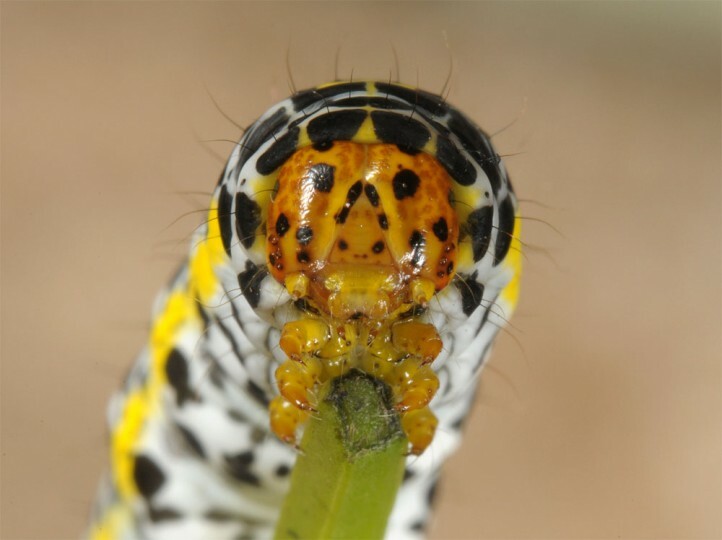 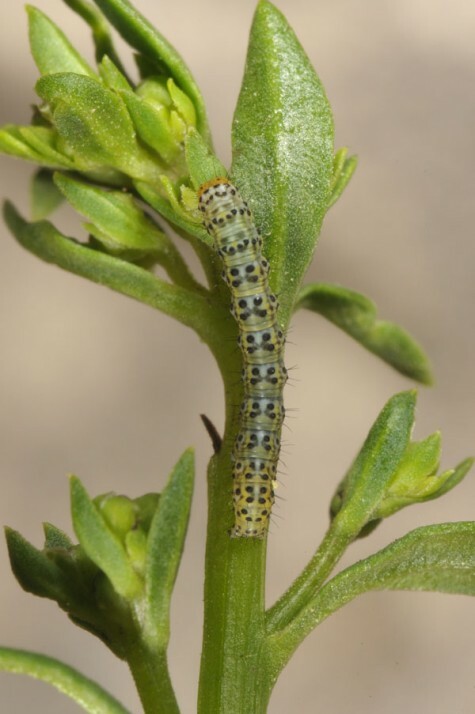 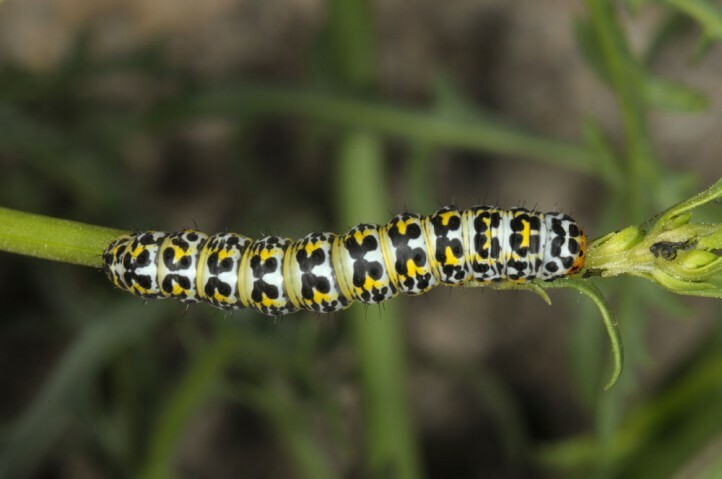 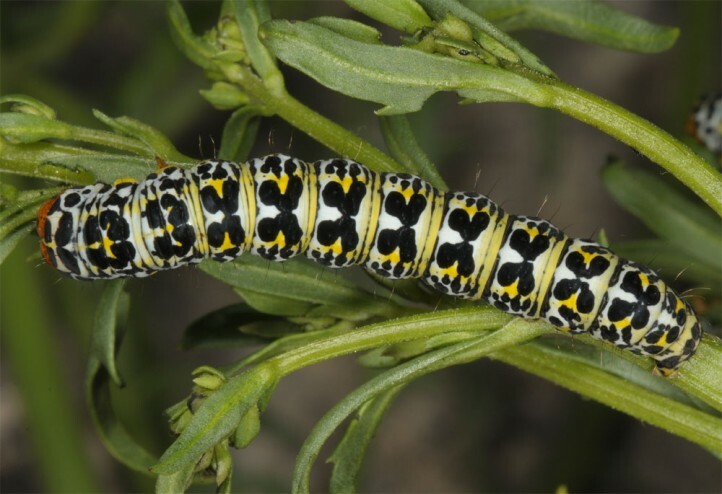 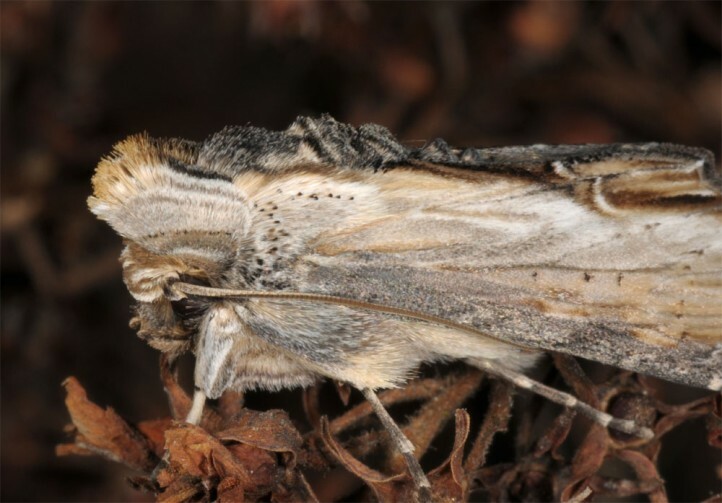 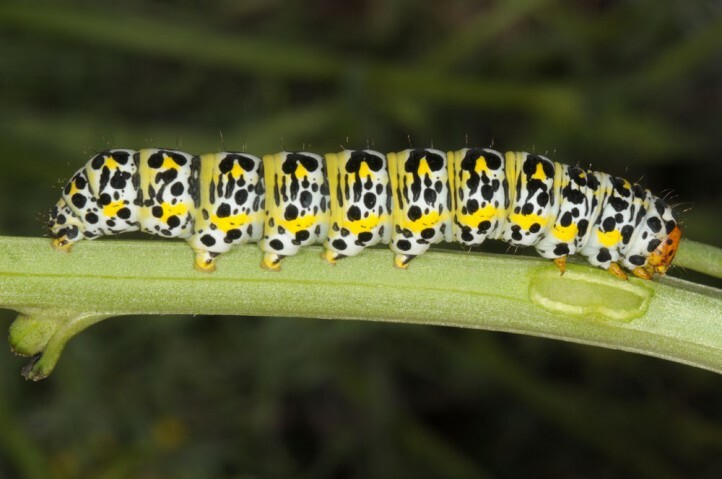 The larvae are sometimes already mature in mid-April in Cyprus (in 2017 along the river Diarhizos south of Mamonia), but usually live between late March and June. 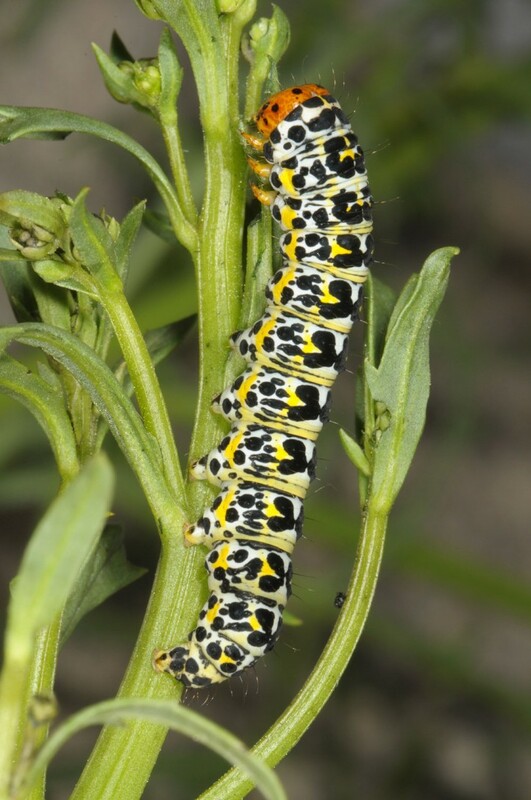 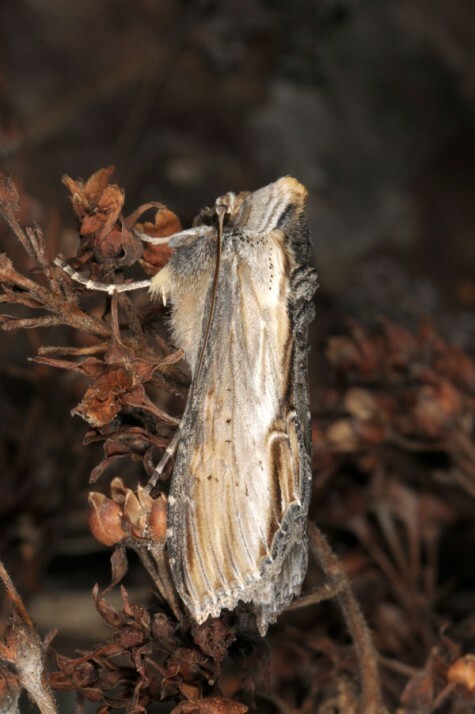 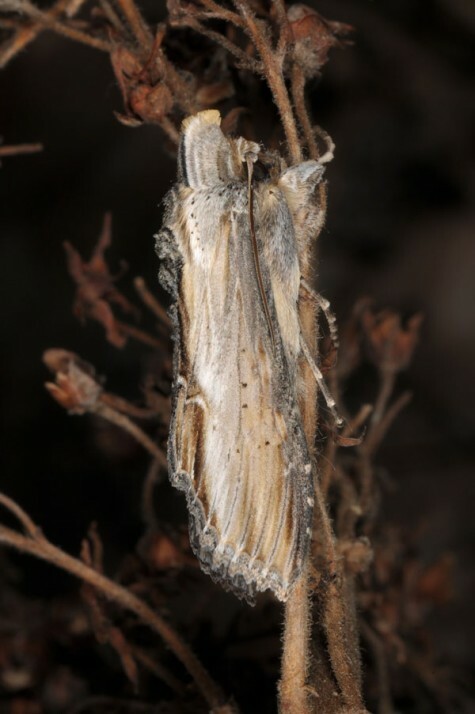 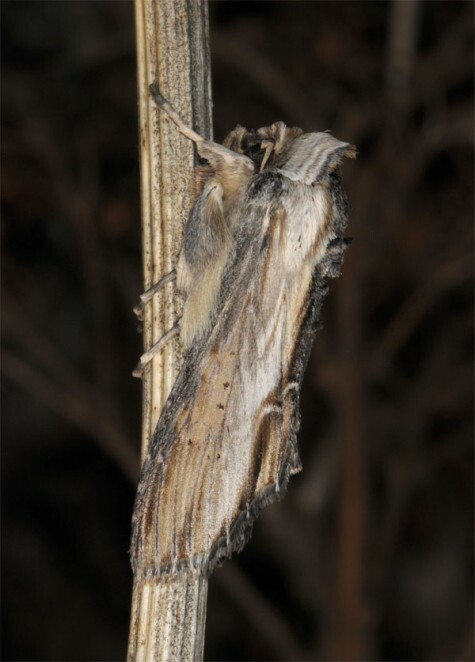 I recorded up to 10 larvae on one bush of host plant., often accompanied by Cucullia verbasci. 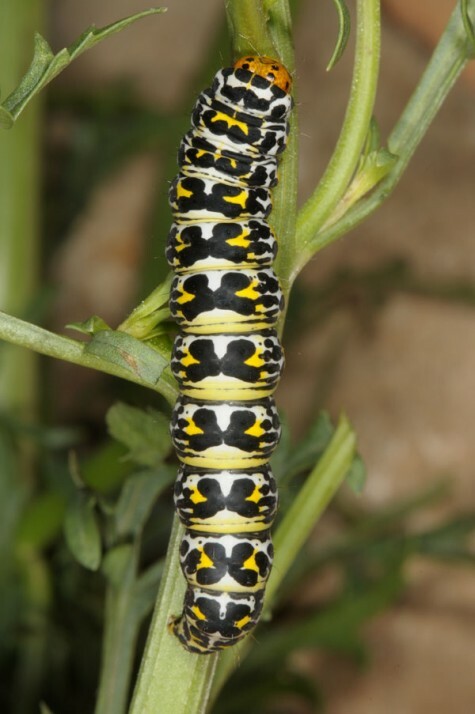 Cucullia barthae occurs from Turkey to Iran and into the Levant (including Cyprus).